Counting Down to Vancouver Draw Down 2015 at ArtStarts! 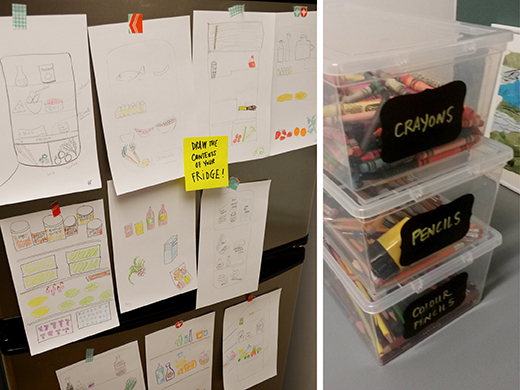 Every morning this week, ArtStarts staff, volunteers and our two current UBC Education practicum students are starting the day with a creative kick. We are taking part in Daily Drawing Challenges in the days leading up to Vancouver Draw Down. 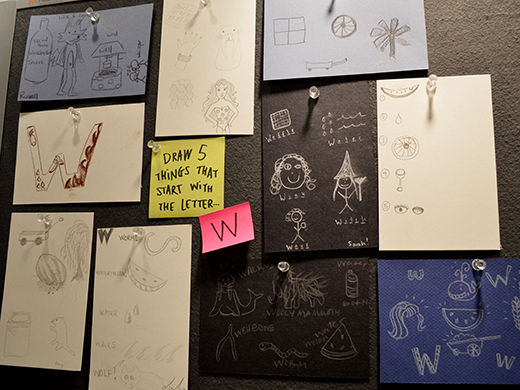 Monday's challenge was to draw five things that begin with the letter "W"... Water, Waves, Wile E. Coyote, Watermelon, Well, Worcestershire Sauce, Windmill, Witch, Whale, Wheel, Wonder Woman, Wishbone, Walrus, Waffle, Wheelbarrow, Worm, Wooly Mammoth, Weeping Willow, Wineglass, Wheat, Wig, Weasel, Washing Machine, Window, Wink, Whisper, Wrist... What else? Who knows what we'll draw tomorrow! Vancouver Draw Down is a city-wide celebration of drawing that takes place this Saturday, June 20, 2015. 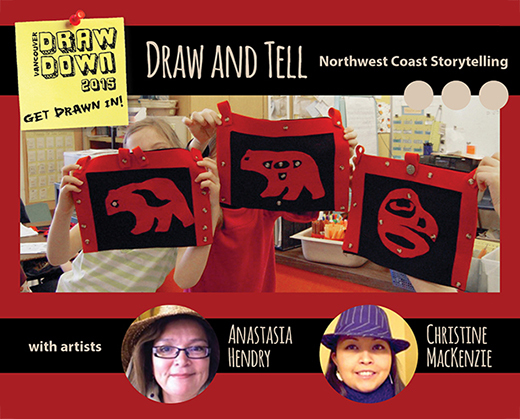 Join us at the ArtStarts Gallery for a special event for all ages — Draw and Tell: Northwest Coast Storytelling. Through storytelling, drawing and textile work artists Anastasia Hendry and Christine MacKenzie will explore First Nations culture, history and traditional teachings. Participants will discover the importance of learning from our elders, respect for others and respect for nature. We will start the day with a traditional Talking circle, an important part of First Nations etiquette and protocol. Then, through First Nations storytelling, participants will learn the story of Lelou, a young man who explores and finds unexpected help on his treacherous journey. Participants will be actively engaged as they listen to this exciting story. As they hear the story the artists will use the Draw and Tell technique incorporating North West Coast formline to create a "crest". By the end of the story the drawing will reveal a secret. Upon completion of the drawing participants will create a mini button blanket. Admission is free! Participants of all ages and experience are welcome. Children must be accompanied by an adult. We'll be holding two sessions on Saturday, June 20, 2015 — at 11am and 2pm — at the ArtStarts Gallery, located at downtown Vancouver at 808 Richards Street (at Robson) in Vancouver (map). The following day — Sunday, June 21, 2015 — be sure to drop in anytime from 10am to 4:30pm to celebrate National Aboriginal Day, a special day to celebrate the unique heritage, diverse cultures and outstanding achievements of First Nations, Inuit and Métis peoples across Canada. Learn more about National Aboriginal Day. 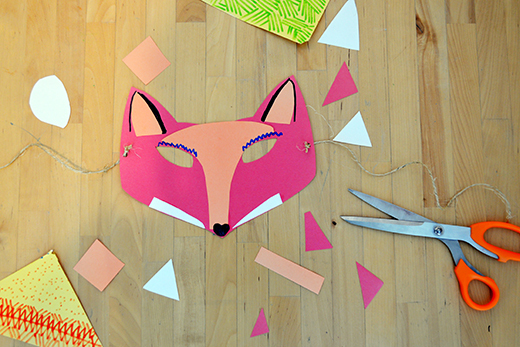 To honour the day, at the ArtStarts Gallery you can create personalized masks of a local animal you feel represents you. Through this hands-on activity you will learn about the different animals in British Columbia and what they symbolize in different national aboriginal cultures. Inspired by the beautiful block printing style of the Inuit people residing in the Arctic lands of northern Canada, you can tell your own story about the city you live in thorugh art. Together we'll create a collective piece that captures the features and inhabitants of our diverse community. These activity stations will be open to the public throughout the day. Activities are self-serve, with ArtStarts volunteers on-site to assist as needed. The ArtStarts Gallery is located at 808 Richards Street (at Robson) in Vancouver (map). Admission is free and all ages are welcome!